Stellina, meaning little star, features delicate crystal sheaves of corn clustered around sparkling starry crystals. An arrangement of navette, pear cut, circular and cup chain crystals cluster in a foliage shape motif. 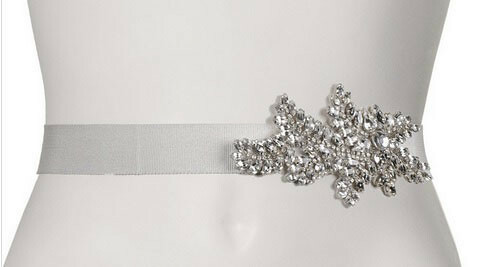 Backed on silk organza and mounted on grosgrain ribbon, this belt is one size only.